Season 1: In the small town of Dillon, everyone comes together on Friday nights when the Dillon High Panthers play. But life is not a game; and the charismatic players, new coach Eric Taylor (KYLE CHANDLER), and the passionate fans find that their biggest challenges and obstacles come off the field in the compelling day-to-day dramas of their tight-knit community. Season 2: Prepare for the long game as Coach Taylor welcomes a new baby and job, college recruiters court Smash (GAIUS CHARLES), and relationships take a turn just as the Panthers try to get it back together. Season 3: Return to Dillon, Texas, where the close-knit residents face new challenges of life transitions, heartbreak and hardships. Season 4: Small-town life in Dillon has changed irrevocably with the dramatic split of the school district. 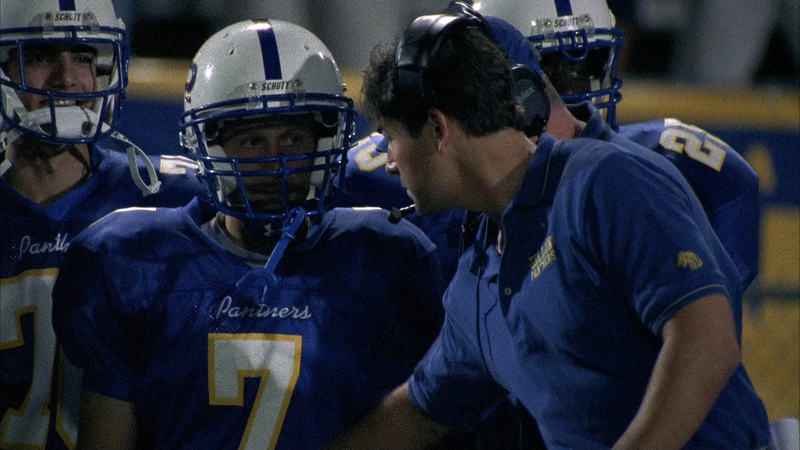 Coach Taylor finds himself fighting for the respect of the East Dillon Lions, while his wife, Tami (CONNIE BRITTON), faces her own battles as principal of the Dillon High Panthers. Across town, it’s a season for change as graduating students deal with hostile rivalries. Season 5: For four years, the residents and students of Dillon, Texas, have faced difficult choices on and off the field with courage, passion and perseverance. Now the time has come to find closure for problems of the past, while pursuing new possibilities that will lead many beyond Dillon city limits. But will everyone be up for the challenge? Quick Hit Review: Friday Night Lights was a show I watched every week, a rare thing for me nowadays, for the first couple of seasons before I kind of lost interest, though I still liked these (often flawed) characters, but fascinating just the religious aspects high school is in Texas to the point I think the show doesn’t touch how bad it can get. The acting was always solid especially from Kyle Chandler, Connie Britton, Taylor Kitsch and Zach Gilford, and the writing, while not consistent, was still rather good, though the second season had a bit of a dip before rebounding with great fourth and fifth seasons and a pleasant series finale. 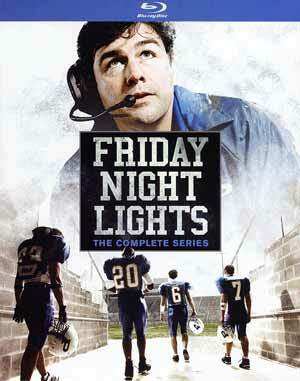 Friday Night Lights makes its debut on Blu-ray through Mill Creek Entertainment and is shown in its originally televised 1.78 widescreen aspect ratio and given a 1080p high-definition transfer which looks good, although it is heavy on the noise at times. But colors do look bright without appearing blown-out and outside of the noise, it does seem free of artifacting, aliasing and other flaws. Without doing a direct comparison, this is probably a decent upgrade over its DVD counterpart. What likely is not an upgrade is the audio. Instead of getting lossless DTS-HD MA, it’s the old Dolby Digital 5.1 track. Good news is, this still sounds pretty darn good and considering this is a drama with a score thrown in, it’s more than satisfactory. And there’s also some okay depth with the game day action. 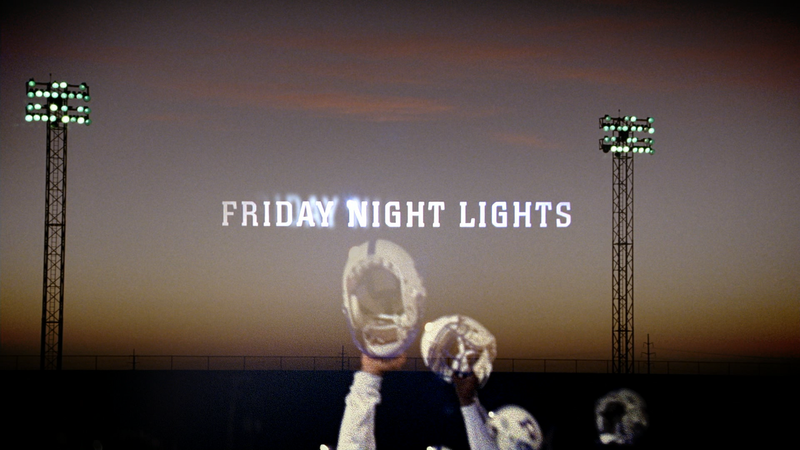 Overall, Friday Night Lights was a well done series even with a so-so sophomore season, but the acting was mostly top-notch from a then relatively unknown cast and seems to do a good job portraying just how big football is in Texas. The Blu-ray release of this Complete Series set isn’t bad but unfortunate none of the features were ported over the audio is the old lossy Dolby Digital.